Derek has worked at the London-based Mirror Group since leaving university. 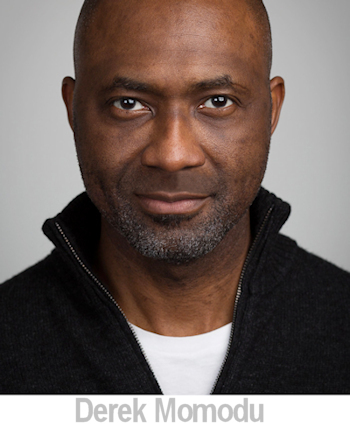 After achieving his degree in Information and Communication in 1995 Derek quickly found a position as Production Manager with Mirror Syndication. From there he moved to the picture desk, starting as an assistant then taking a step up to executive picture editor and on to associate picture editor. Your degree in Information and Communication signalled intent to work in the media. Have you always had an interest in journalism and photography? I've always had a keen interest in media, print journalism in particular. In fact, even at school age, my dream was to write for a magazine. I fancied a stint on GQ at the time. I hoped my degree in information and communication would help but I didn't expect it to lead to a career in photography. I'm naturally creative so I was open to wherever it took me. How did you get your first media job ? I was very lucky to land my first media job with Mirror Syndication (as a production manager) straight out of university. I responded to an advert about the aforementioned position and one interview later, the job was mine. As I said, I was lucky. My job was to rewrite (in bite-sized portions) and repackage what was then Mirror Group material, from all titles, for sale in Europe and the rest of the world. This meant talking with department heads on a daily basis. Why did you move from the role of Production Manager to the picture desk? In time, I soon needed a new challenge and it came in the shape of the then picture editor of the Daily Mirror. After years of getting clearance from him on pictures we could sell, I decided it was time to be part of the guys who collated the photographs. So after months of asking and couple of formal chats, the editor finally gave me the opportunity to do so. You’ve moved up from assistant to Associate editor, what attributes have helped you progress your career? My transition from assistant to associate picture editor has been by virtue of hard work, experience and years of service. Structural changes and rare openings in the department were also instrumental. Of course, moving up the ranks is easier when you're already in the system, but it requires a lot sacrifice, dedication and graft. Officially, I start at 7am and finish at 5pm - but it's never the case. The nature of the job means my working hours are fluid, circular. A typical day sees me collate the best images (starting from midnight) for a picture list in time for conference at 11.30am. There, alongside other heads, we pitch to the editor of the paper. Although we leave the room with an idea of what the paper might look like the next day, we can change up to cover breaking stories all through the day. How does a Red Top editor differ from other newspapers? Of course we are (The Daily Mirror in particular) about current, topical, intelligent news and real stories, but by nature, a tabloid newspaper lives for sensational stories, gossip columns and human interest tales. As big a Hollywood star that Orlando Bloom is, Broadsheets couldn't bring themselves to run his recent infamous naked photos. That was tabloid gold. It had it all. From a picture editor's point of view, broadsheet picture editors aren't too bothered by what their counterparts run as long as they are happy to furnish their own stories with pictures they need. Rivalry isn't as pronounced in their world. What makes for a successful picture editor? Over the years, especially in tabloid picture editing, I've learnt that a cool head and very thick skin will help you get by in the industry. A good eye for detail, creativity and the ability to spot a good picture is compulsory. Add professionalism and you're onto a winner. You think on your feet. Always! The buzz of the newsroom is brilliant, but the competitive pressures from your rivals pushes you to excel at what you do. On average, I (the picture team) trawl through over 80,000 images a day and the fear of missing a picture is ever present. The dread you feel the next day when you see your rivals have published a picture you didn't see. This keeps me on my toes, there's very little room for that type of 'error'. My role as associate picture editor was borne out a recent structural change in the way we work online and in print. I now work across both platforms. "You're only as good a picture editor as the picture you don't miss." You must be aware of World events 24/7, can you ever switch off? I try to switch off but, like many people in media, there's a sense of duty you feel when you get some information. Even when off duty you just have to do something about it. It's hard because I'm on Twitter, and ironically, I use it to 'switch off'. I also look after content from magazine across the globe - so the time zones mean I sometimes have respond to some emails at ungodly hours and share with the night team. Having said that, I try to behave when I'm with my family. Your role mixes PR with editing. How does that work? I also look after content offered by PR firms - a job carved out over 10 years ago. I was appointed point of contact on the picture desk so I could sift through and decide what is useful to us as a paper. I also meet to discuss ideas with these contacts to put us in a better place to secure exclusives. Are there still opportunities to work on a picture desk? Of course, it was different when I set out on this journey years ago. Today, applying for a job as picture editor from the 'outside' may take longer because, at least on my paper, the position doesn't come around that often and it's a job you want to keep for a long time. Structural changes create jobs too and there's some movement from time to time. What does the future look like for newspapers? For over a decade we've had debates and shared ideas on the longevity of newspapers. Obviously, the way people consume news has changed and to stay alive you have to stay current. You have to be relevant. Across the board, circulation for this medium is dwindling, fast. Like most businesses affected by technology, it's something we've come to accept and we've embraced it and we use it to our advantage. We have to keep evolving as paper. Piers Morgan was the editor of the paper when I joined and had the pleasure to work with him for 6 years. He once asked me this: "I know you're a picture editor..but can you actually take pictures?" I've since brushed up on my photography. He also gave the best career advice I've shared since. He told me: "You're only as good a picture editor as the picture you don't miss". That advice has driven me to this day. 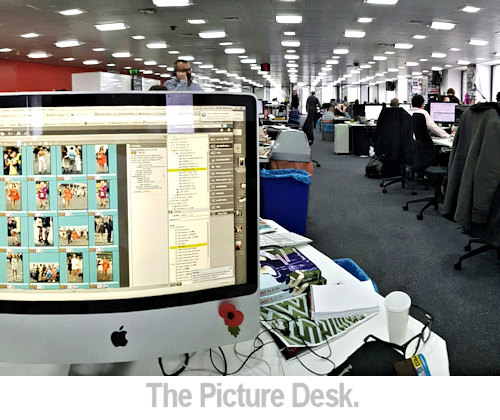 What advice would you give to anyone wanting a career on a picture desk? The best way to become a picture editor is indeed to become a picture researcher. You work under the direction of the editor and in time you will pick up the skills and experience required.